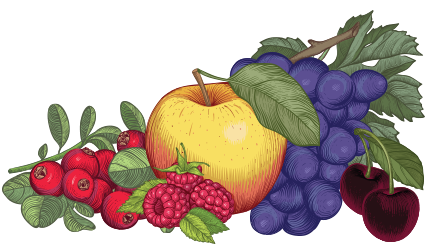 Frequently Asked Questions | Black River Juice | Check Here for Common Questions About our Juices and Spritzers. How do you press the fruit? At Black River Juice, we use a hydraulic press (Good Nature SX-280 Industrial Juice and Cider Press) to cold press the fruit. It looks like two accordions side by side that slowly squeeze the fruit, which maximizes the juice output. 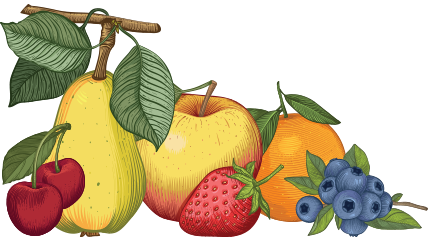 What does cold-pressing fruit mean? It involves using a hydraulic press to slowly squeeze and extract the juice from the fruit. It is done without heating, which helps to maintain the natural flavours of the fruit. What is a juice concentrate? The term concentrate means that the water has been removed from the juice. When it's ready to be used, the water is simply re-added to produce a pure fruit juice from the concentrate. We always reconstitute our juices back to 100% juice, so they have the same properties as the original pure fruit juice. What is/isn’t in your juices? 99.5% of our juices contain no added sugars or flavouring (the exception is our Lemonade, which is sweetened with cane sugar in keeping with a classic lemonade recipe). The sweetness / sugars in our juices are all sugars that naturally occur in the fruit. With certain juices, we add some ascorbic acid (vitamin C) to prevent the juices from oxidizing and going brown, but it is a very little amount and is not detectable in the flavour of the juice at all. Where do you get your fruit and concentrates from? Many of our fruits come from within Canada. 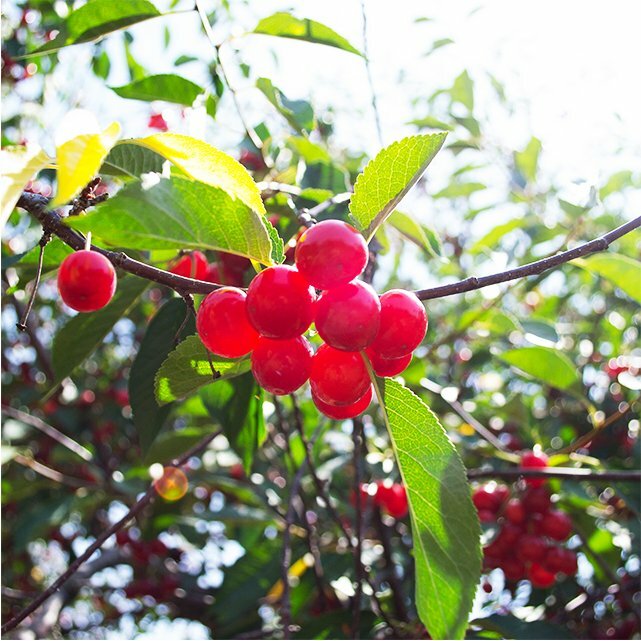 Strawberries, Raspberries, Blueberries, Black Currants, Tart Cherries, Black (Sweet) Cherries, Pears, Cranberries, Organic Cranberries, Apples, and Organic Apples are all sourced locally. When we can't source from within Canada, we ensure we are finding the highest quality juices and juice concentrates in the world. Why do some juices have vitamin C? Right after we press the fruit, we add a small amount of vitamin c, which helps prevent the juice from oxidizing and turning brown. Not all fruits are susceptible to browning, so we only add it to certain juices. Pasteurization is the process of using heat to get rid of any potentially harmful bacteria or microorganisms that might be present in the juice. Why do you pasteurize your juices? One simple reason - food safety! Unpasteurized juice (like the kind you can find at your neighbourhood cold pressed juice bar) has a shelf life of a couple of days, and could potentially contain harmful bacteria. 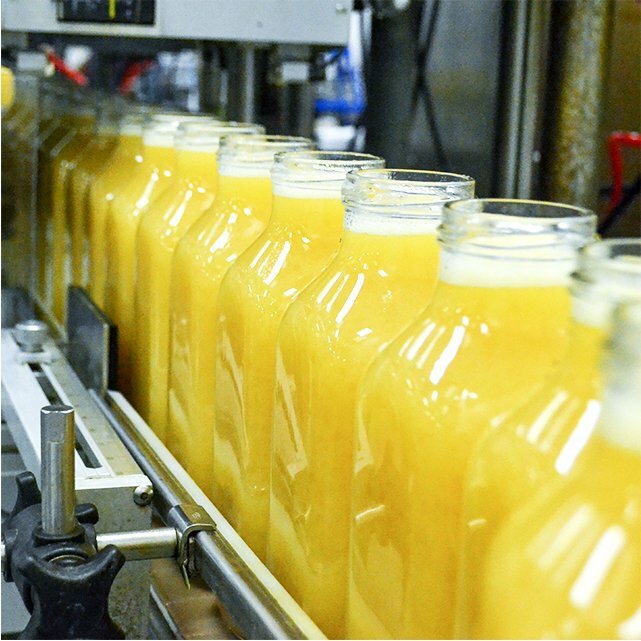 Pasteurization ensures the juice is safe for consumption. Each bottle has a best before date in black ink on the back shoulder of the bottle. Because we pasteurize the juice, then pack it in glass (least permeable to oxygen, and therefore bacteria growth), we have a best before date that is two years from the date of production. Once you have opened the bottle, be sure to refrigerate and consume the juice within about 1 week. Each flavour is a bit different, so please refer to the directions on the back label. What is that “stuff” at the bottom of your bottles? That “stuff” at the bottom of the bottle is all good stuff and comes from the actual fruit. When we press the fruit, we filter to 220 microns. To give you a comparison - think of your typical clear, yellow apple juice. This juice has zero sediment and is completely clear throughout - it is typically filtered to 2 microns. Our juices are filtered to 220 microns, which is still more than enough to catch any seeds, stems, skins etc, but it leaves lots of the natural fibre of the fruit. Give it a good shake before consuming and enjoy all parts of it! What do I do with my bottle when the juice is finished? One of the most frequent comments we get here at Black River is "your bottles are too pretty to recycle, can I bring them back to you?". First of all, thanks for all the love! Secondly, while they are beautiful bottles, styled to resemble the old milk glass bottles, our glass is not returnable (the glass isn’t thick enough for re-use). We suggest recycling them, or re-using them. Check out our Instagram to see how some of our very cool customers have used our bottles as spice containers, flower vases, Christmas mantle displays and more! Or, check out The Bottle Houses of Prince Edward Island if you're feeling really ambitious. Lots of ways to get creative! The Black River team decided to create a fruit juice spritzer after receiving hundreds of comments over the years from our customers that they "love to blend our juices with soda water". We thought, "we can do that too! ", and so the spritzer was born. These little beauties are a combination of pure fruit juices and carbonated water, there is no added sugar. The ingredients are super simple (nothing you won't easily recognize), they are all light in flavour, extremely refreshing and an excellent replacement for traditional sodas, with less than half of the sugar and calories per serving. They also make a lovely mix for your favourite spirit! For the concord grape, black cherry and lemon + lime spritzers, we use natural flavours that are suitable for vegans and vegetarians as they are not derived from animals.